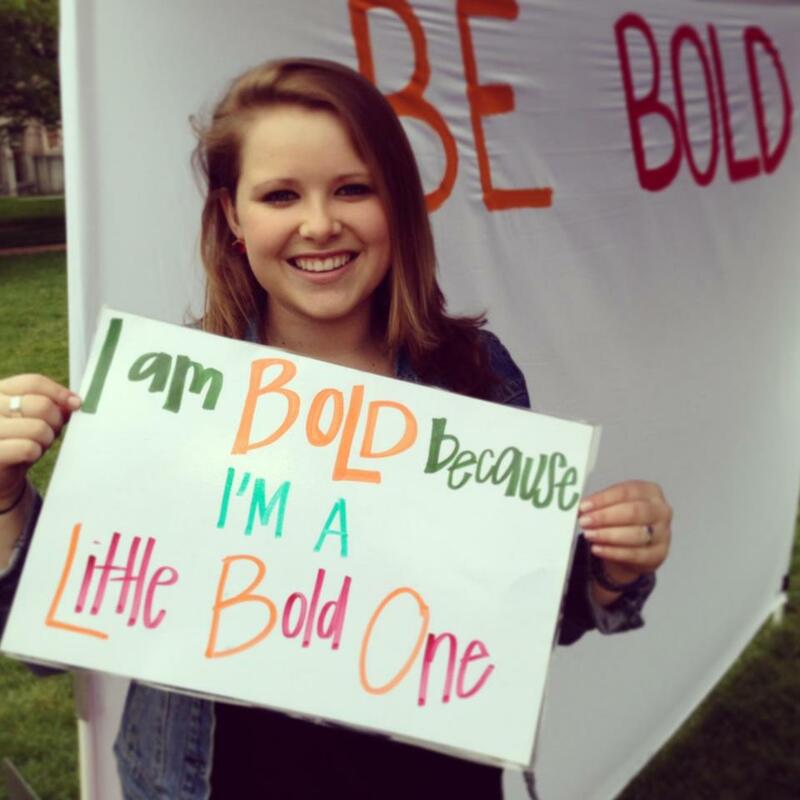 Freeman at a UW Panhellenic event to promote stepping out of your comfort zone and being bold. Originally from Kailua in Hawaii, Marissa Freeman was unsure where she wanted to go for college. Although she loved growing up on Oahu, she wanted to get off the island and explore. Her older sister went to the “other UW,” University of Wisconsin-Madison, but Freeman began to think maybe her choice was right in front of her. Freeman’s father, a retired pilot in the Marines, is originally from Seattle, where her family would visit yearly for certain holidays. Looking for that big college town with lots of school spirit and energy, Freeman decided Seattle would be her new home. Although Freeman’s grandmother passed away when she was a young girl, family members tell Freeman that she is a lot like her grandma who lived in Seattle. Freeman likes having the connection of living where her family has had many good memories, but also triumphs in making it her own. Freeman quickly became involved in many organizations on campus, eventually holding leadership positions by her junior year. She is a member of Chi Omega sorority and is wrapping up her involvement with the UW Panhellenic Association, an organization that works by the calendar year and develops leadership skills and experience for sorority women, while pursuing academic interests. Freeman served as the Vice President of Public Relations, managing all social media accounts and starting a newspaper called The Greek Voice. Freeman is a member of the UW Public Relations Student Society of America (PRSSA) and has learned through meetings and public relations classes all the things a PR professional has to think about. What started out as being just another girl that is on Facebook and Twitter all the time, now Freeman has run campaigns on social media. For instance, during Formal Fall Recruitment in September, Freeman created an Instagram account for UW Panhellenic and used the hashtag #UWFFR13 to show the perspective of 750 women participating in recruitment, and to spread information about last minute schedule changes. 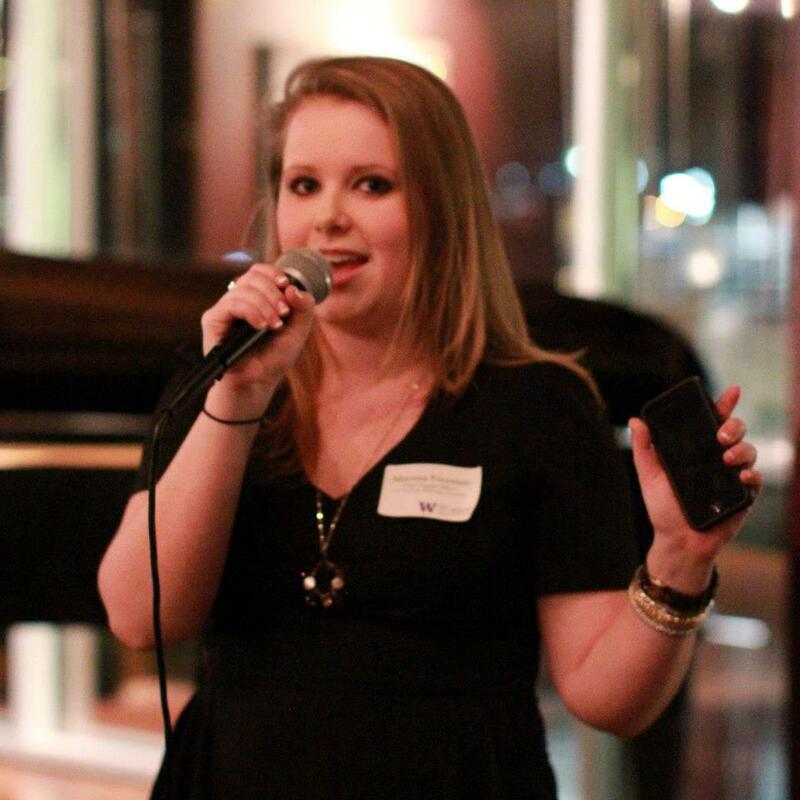 Freeman has been at the helm of social media for the UW American Marketing Association as well. After stumbling upon the second to last meeting of the quarter her sophomore year when they were handing out applications to be on the executive board for the next year, Freeman decided to go for it and landed a position as Social Media Manager. This year she is the VP for Public Relations as part of the leadership team of 10, managing weekly newsletters, social media, the website, and being the point of contact for people wanting to join and interested companies. The AMA has weekly meetings where they invite marketing professionals from a variety of companies in Seattle to talk about their role in the marketing world. Freeman works to maintain relationships with companies like Amazon, Microsoft, Boeing, and smaller organizations. Freeman will also be giving her own talk at an upcoming meeting about how to brand yourself. In providing networking and professional development events, AMA has become a place for companies to find interns, which is how Freeman landed an internship with the advertising agency Wexley School for Girls last year. In an ideal world, Freeman sees herself having a house in Hawaii, but said Seattle is an incredible hub for innovation, marketing, and advertising, so she doesn’t see herself moving back anytime soon. She joined Hillel UW, the Jewish student center, to bring a piece of home to Seattle. Since attending High Holy Days her fall quarter of freshman year, Freeman has interned as an event planner and is now on Hillel’s Board of Directors as one of two student representatives. She shares her experience of moving from Hawaii to Seattle as a campus tour guide as well. “I feel like sort of an ambassador, and one of the things I like to share is that you don’t have to be from Seattle or Washington to appreciate it and take it as an approach to challenge yourself to step out of your bubble,” she said. Freeman said that her drive and ambition comes from her mom, who owns her own company – something she hopes to do years down the road. “Seeing the way she has nurtured her business and made it what it is has been really inspiring,” Freeman said. But for now, her dream is to do in house public relations for a large company, particularly Boeing as she got her dad’s aviation bug. Until then, one might find Freeman checking off one of her senior year bucket list items, like checking out Golden Gardens, or settling on an old favorite of eating a McDonalds ice cream cone with friends at Kerry Park.